RiezmanBerger | Richard Tishler celebrates 25 years with Riezman Berger, P.C. 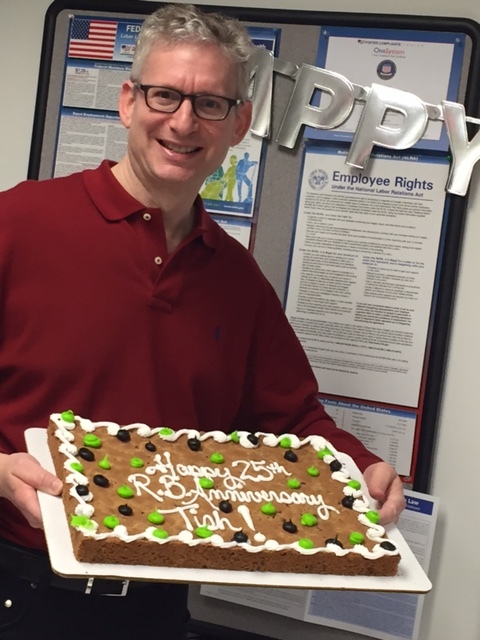 Richard N. Tishler, Managing Shareholder of the firm, celebrated his 25th anniversary with the firm March 2, 2017. Richard is a connoisseur of chocolate chip cookies!